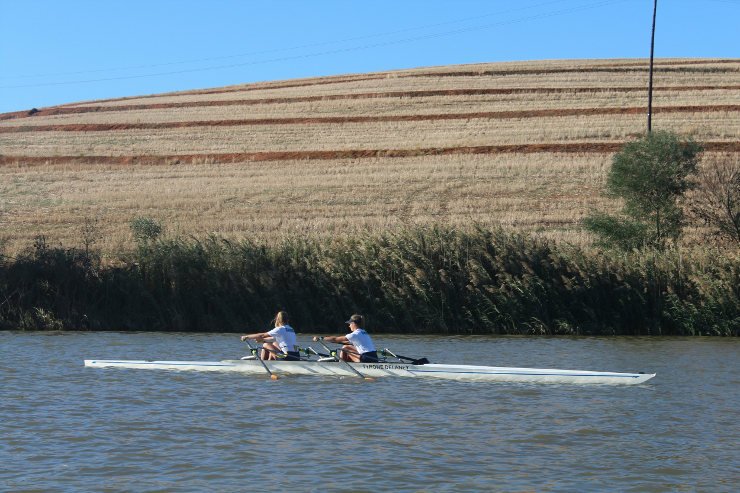 The Madibaz Rowing Club underlined its development by contesting multiple finals at the University Sport South Africa sprints regatta in the Western Cape earlier this month. Fielding men’s and women’s teams, the Nelson Mandela University rowers qualified for seven finals (men) and eight finals (women). In addition, women’s captain Alex Ennis became the first female Madibaz rower to be awarded USSA Grudge (half) colours. “I was extremely proud of my girls and their performances, especially as 70% of them are completely new to rowing,” said Ennis. “In general some of the athletes walked away wishing they had done more and others walked away ecstatic. “I have to say a big congratulations to the ladies side of the club as it was the first time since 2016 that they had nine members competing. “I look back on 2018 as a total beginner’s year,” said the biokinetics student.